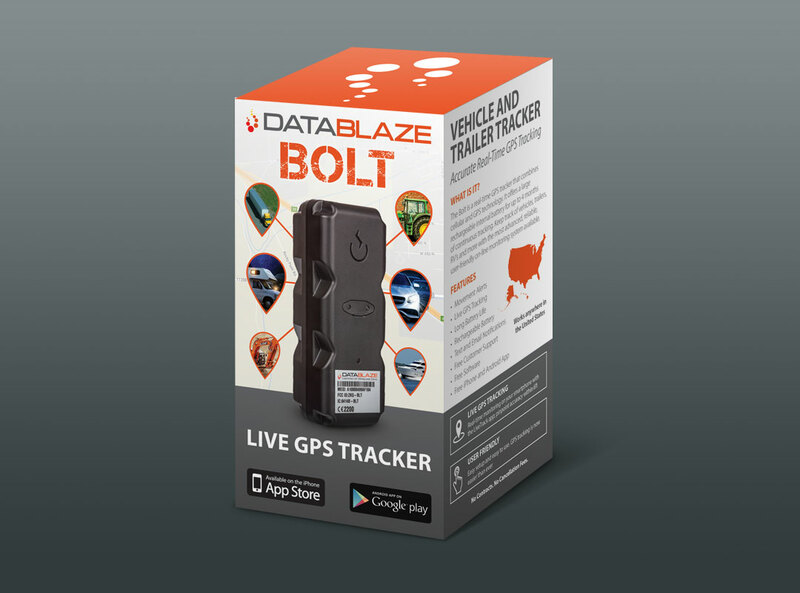 DataBlaze GPS Tracking Systems contacted us to help them with overflow work – yes, we do that! They have an existing graphics department but couldn't keep up with the work load, so we were happy to step in and assist. We used their existing style guide and examples of previous packaging in order to create a new box for one of their products that would coincide with the rest of their products, and even incorporated some suggested improvements.